Perfecting the fool-proof bedtime routine with your kids can often feel like an uphill struggle. From nightmares to tantrums to ‘mom, I want to stay in your bed!’ it can leave everyone feeling pretty drained. But there are plenty of things you can do to make sure everyone has a good night’s sleep. What time you choose to have your evening meal as a family can affect how your little ones sleep that night. Too early and they’ll be hungry by bedtime, too late and their metabolic rate and temperature will rise, making sleep difficult. If dessert is a regular fixture in your house too, they may also be hyperactive! Try and time meals for two hours before your children go to bed, and encourage them not to wolf it down, as if they eat slower they will feel fuller for longer. Obviously, avoid caffeinated products such as fizzy drinks and pop before bedtime. Try and implement a regular evening routine in your family home. There will obviously be times when this just isn’t achievable, but for the most part, try and stick to it. For example, bathing your children and then reading them a bedtime story will signal to them that it’s time to wind down. Make sure they have cozy pajamas and try to avoid letting them watch television or play on an iPad after they’ve had their bath. The blue light that comes from electronic screens can halt the production of melatonin. This is the hormone which makes us sleepy. Implementing a routine also means that once the children are in bed, you’ll have some time for yourself – and no one can complain about that. Where your children sleep is almost as important as the few hours building up to sleep. All your hard work in the prior two steps will be unraveled if their bedroom environment isn’t working for them. For example, if your child used to sleep with you in your bed, the prospect of their own room might be daunting. 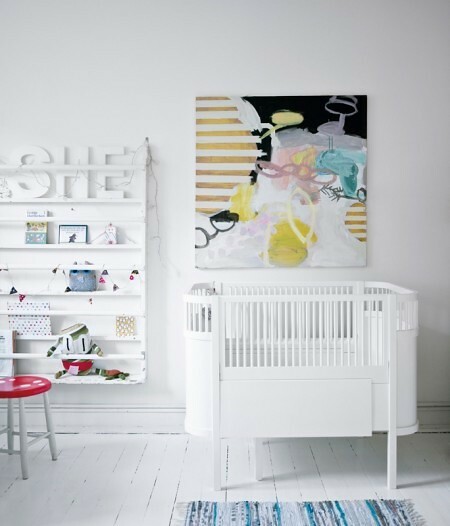 Gather relevant nursery furniture so they can feel like they have somewhere of their very own. Children love independence once they’ve had a taste of it, so be sure to tell them how grown up they are. Ensure you have a dimmed light so the darkness tells their body to prepare for sleep, or use a night light if your child is nervous in the dark. If any of your children persistently come into your room during the night, try and persuade them to sleep in their own room. Consistent bed sharing between parent and child can end up being detrimental to both parties. The child will find it difficult to sleep anywhere else and if you have a partner, the situation can have an effect on you too (for obvious reasons!). As heartbreaking as it may be, reassure them, then gently take them back to their own room. It won’t take them long to get used to it and they will thank you for it in the future.